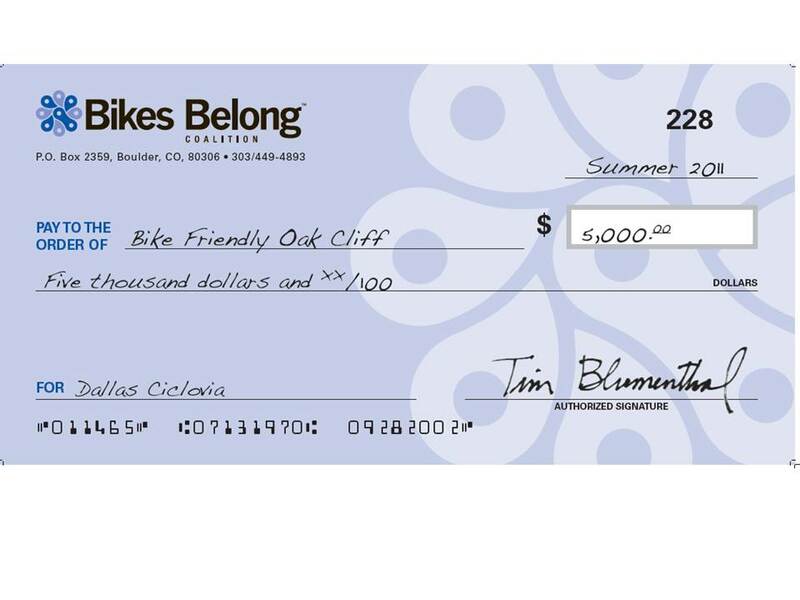 Bikes Belong Grant Awarded, Ciclovia to Come! Bikes Belong’s mission is simple, get more people on bikes more often. They awarded BFOC $5,000 because of you! You got out and road a bike and over the last two years our bicycle ridership has risen 219%. Thank you for riding and supporting our local bicycle shops. Our rides have worked to get the first time and long time riders back in the saddle. The funds will support the first car-free streets day in Dallas. It will not only provide a safe and fun event for us, it will also show the appeal of car-free public spaces. 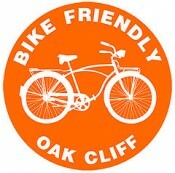 The event will include a design contest to demonstrate how a dedicated bicycle facility can be added to an existing bridge to connect the bustling neighborhood of Oak Cliff with downtown. With the recent unanimous adoption of the city of Dallas Bicycle Plan and broad public support for bicycling, the $5,000 grant from Bikes Belong, will further the quick wins Dallas needs to make bicycle infrastructure projects permanent. Dallas has had significant growth in bicycle use over the past two years, these funds will put more people on bikes more often! As you might expect we will be adding a better block twist to this. Just curious, where does that 190% figure come from? Actually it is 219% according to US Census and LAB http://www.bikeleague.org/blog/category/research/statistics/. These spikes in ridership do happen. I like to think the bike friendly movement helped. The bikeleague data appears to be from 2009 which is not “the last two years”. Am I missing something?